Wai Ora Experiences offers a series of unique visitor experiences on Mokoia Island. These include guided tours, bird watching, indigenous food tasting, educational programmes, weddings, incentives, and conferences. Take a boat cruise on Rotorua’s newest luxury fast cat – the ‘Wai Ora’ or aboard our ‘Wai Ora Jet Boat’ and experience the warmth of Maori culture and a traditional welcome. Take a native bush walk and learn about the native flora and fauna. Enjoy a hot soak in Hinemoa’s Pool and learn about Maori legends like the famous love story of Hinemoa and Tutanekai, New Zealand’s own Romeo and Juliet. Mokoia Island is a sanctuary for many of New Zealand’s endangered wildlife and rare New Zealand birds and we can arrange for you to plant your own tree to commemorate your visit and help us to replant native species on the island. 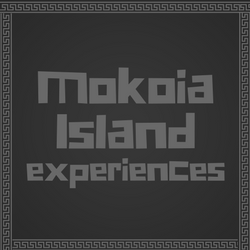 Mokoia Island is also a popular gathering spot for functions, meetings, team building exercises, and weddings. We are able to cater for locals, tourists, school field trips, conferences and large groups.